What's behind the music you love? You're passionate about great music, and maybe your ambition is to produce a hit record, but how do you learn to record and produce music of your own? One of the seminal moments in the history of music and audio engineering was in 1976 when Engineer/Producer, now Dr Tom Misner, launched the world's first practical audio engineering school in Sydney, Australia. Since then, SAE Institute has broken new boundaries in audio creativity - students are experiencing some of the most incredible techniques using state-of-the-art equipment in word class facilities. As a music fan you have already benefited from SAE's vision: SAE graduates have worked on hundreds of gold, platinum, and Grammy-winning albums since the school was founded, and every day alumni continue to be involved in music and push the envelope of production. 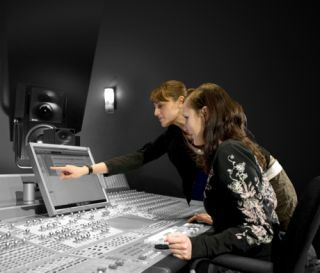 If you're ready to start your dream career and gain a Diploma or Audio Production Degree BA / BSC (Hons), then discover exactly how and why SAE is the quickest, most powerful way to give you the knowledge needed to continue your studies for a career in audio engineering. Remember your education is just the beginning - SAE is for life!